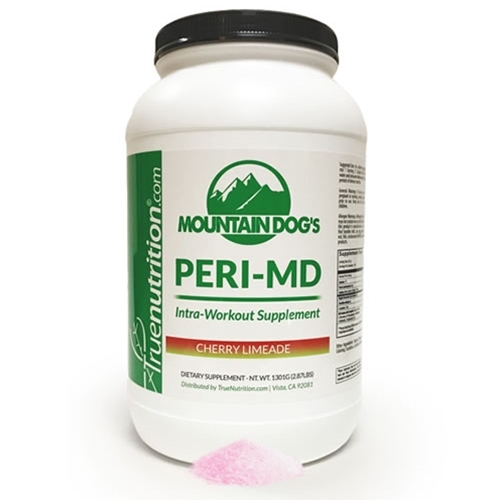 "Mountain Dog" John Meadows' signature intra-workout supplement! As a dietary supplement, mix 1 Serving (About 1 Scoop) with 24floz of water and consume before and throughout periods of intense exercise. Natural Flavors and Colors, Salt, Sucralose, Lecithin (Sunflower). You can absolutely thrash your body in the gym (i.e. - Creeping Death 2), and have the ability to recover so that you may do it all again the next day! 5/5 would buy again. Love this product. Super fast recovery, I am hardly ever sore after workouts. I prefer True Nutritions version of this over all the others, including Granite, etc., simply for its Non use of unneeded toxic ingredients such as, silica, silicon dioxide, acesulfame potassium, and FDC Red coloring. All these ingredients can be linked to aluminum, thyroid cancer, etc. I don't love that this product contains sucralose, but we all have to make out own decisions. Thank you True Nutrition for carrying this product and I will continue to buy. Awesome product. The cyclic dextrin and essential aminos help tremendously with recovery and nearly eliminate soreness. Tastes great, too!